The fourth Italian Chicken dish I challenged myself to make is Chicken Cacciatore. It is a traditional, country-type Italian stew with cut-up chicken pieces, garlic, wine and leftover vegetables. 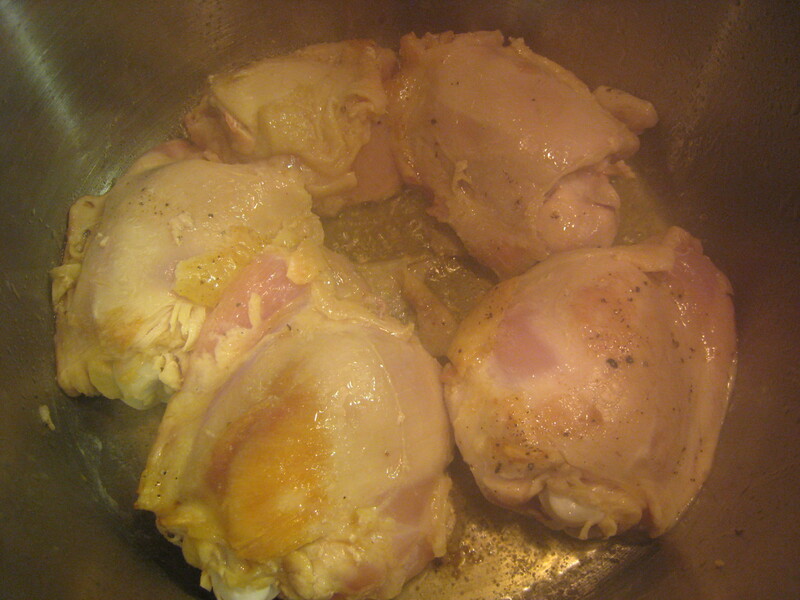 Take 6-8 bone-in chicken thighs with skins on and braise with olive oil in a Dutch oven on the stove top. After braising for 5 minutes on each side, set aside and remove the skin. Remove all but 1 TBSP of oil from the Dutch oven. 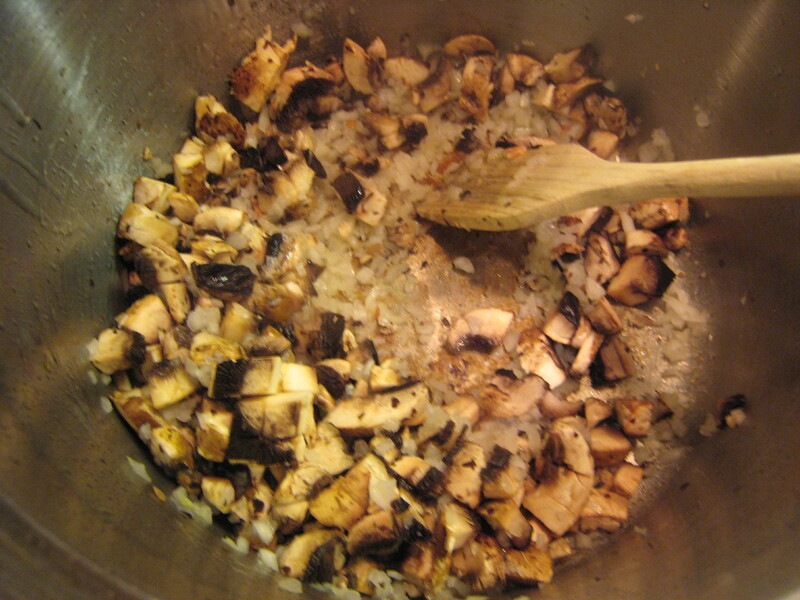 For the sauce, saute one minced onion, 1 tsp salt, 4 minced garlic and 6 oz of diced portabello mushrooms until soft. Add 1/2 C chicken broth, 14 oz can diced tomatoes, 1 1/2 C dry red wine, 1 TBSP flour. After cooking over medium heat bring to a simmer and add 1 tsp thyme, 1 tsp ground sage, and the rind of parmesan cheese. Add all the chicken pieces into the stew, then place in a 300 degree oven for 30-40 minutes until the chicken is completely cooked. Remove the parmesan rind before serving. Pour the sauce over the chicken pieces and serve with a side of fettucini or egg noodles. What did the Fearless Cook learn? I don’t like red wine with chicken. It made the chicken meat red and such an unappealing color. The Chicken Marsala – my first Italian Chicken- was a little better because the chicken didn’t soak in the wine and tomato sauce. I took six pictures of the finished product and they all looked slimy and odd. I saved your eyes from viewing it. The sauce was excellent, tasting like Julia Child’s Boeuf Bourguignon. It just didn’t go with the chicken. I wanted to eat that sauce with some beef. 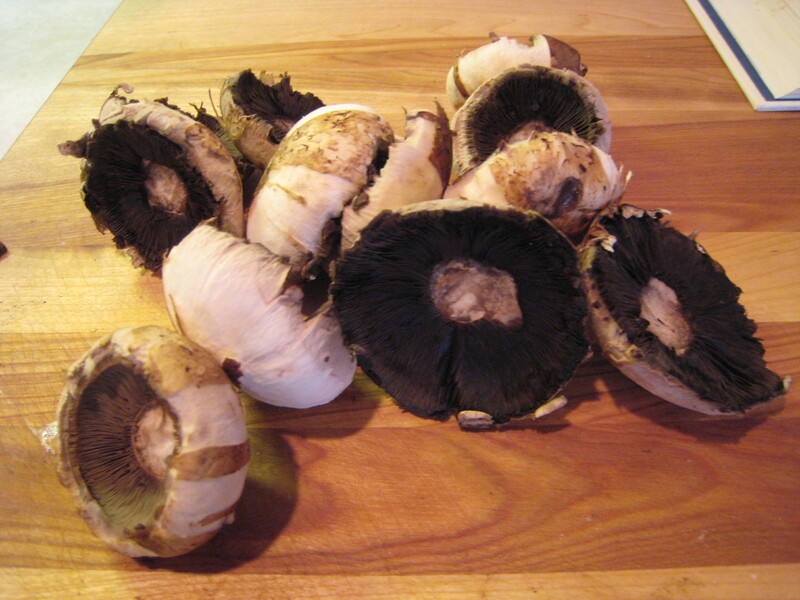 The recipe mentioned an alternative way to making the dish substituting white for red wine, white for portabello mushrooms and tarrogon for the thyme. Maybe I would’ve like it better with white wine, but I doubt it. I was so organized making this dish. I read the recipe in advance, prepped all the ingredients, and worked through each step smoothly. But I doubt if I’ll ever make this dish again. I have a little bit of pride completing this challenge. I have plenty of tasks on my plate these days (pun intended), but I remained focused, despite the craziness swirling around me. Ta dah! Most Favorite? 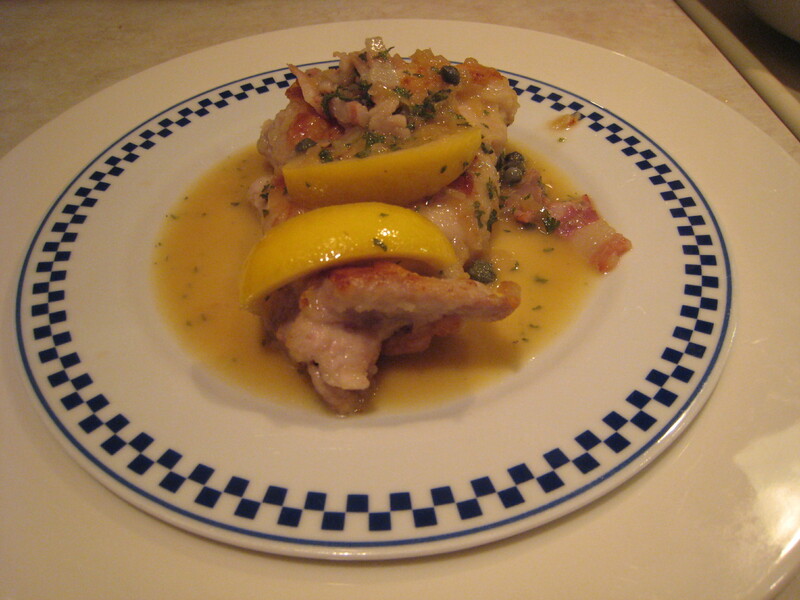 Chicken Piccata – I loved the lemon and capers. Easy and light dish. Family Favorite? Chicken Parmesan – It was so popular I made it twice during this challenge. Least Favorite? Chicken Cacciatore – Are you surprised? It’s spring and the weather is sunny one day and stormy the next. This is the last time before summer hits that we will feel comfortable heating up the kitchen and making an Italian meal. 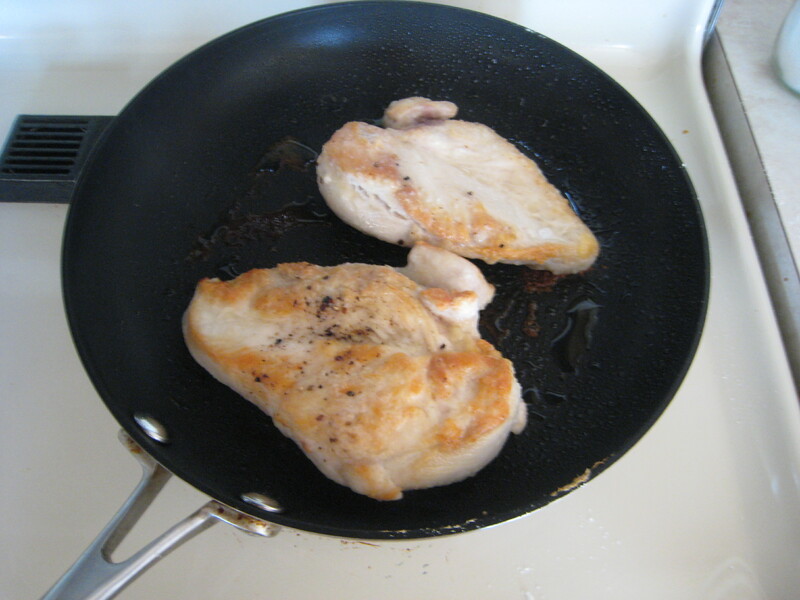 Being that it is Easter this weekend I will focus on Chicken Piccata – the second Italian Chicken out of four that I have challenged myself to make. I had never made this dish but the ingredients are just what we imagine spring to be, light and sunny. So if you are sick of ham or lamb and are looking for something EASY to make, try this dish. What makes chicken piccata is the sauce. Lemon and capers; the tart and the salty. After my inaugural try, I was amazed at how easy it was to pull the dish together. This recipe came from The New Best Recipe (2004), the cookbook is from the editors of Cook’s Illustrated home of America’s Test Kitchen. I searched the internet to check out other versions of Chicken Piccata. Some chefs breaded the breast cutlets but I thought it looked too heavy for a light lemony sauce. If you read my last entry on Chicken Marsala, you will see that this recipe starts out similarly. You start with 4 chicken breasts. I am now in love with boneless chicken thighs because they are cheap and remain moist even after cooking. You could substitute the chicken breasts for thighs and get smaller portions. 4 chicken boneless breasts, 1 cup of flour and 2 TBSP vegetable oil. Heat the oil in the skillet medium-high heat. 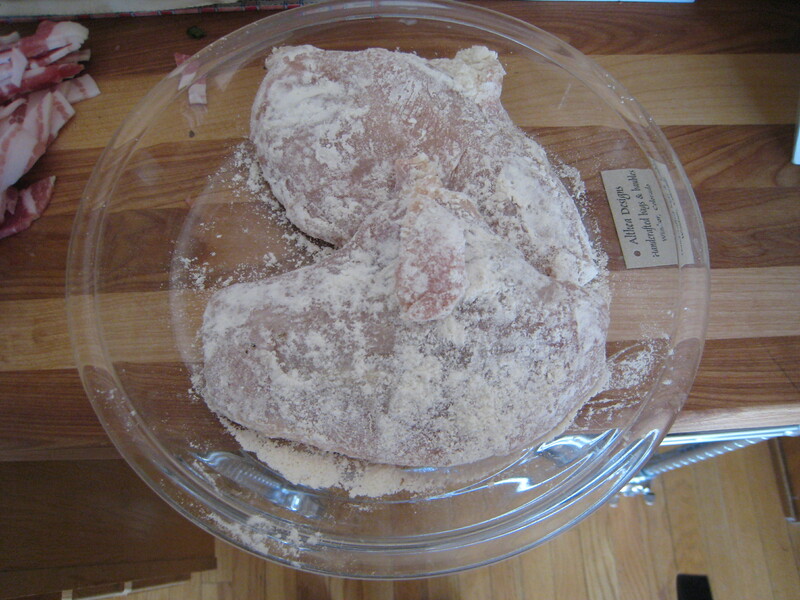 When the oil is shimmering place the floured cutlets in cooking until golden brown, about 3 minutes each side. Transfer the chicken to a heated plate in a 200 degree warm oven while you make the sauce. 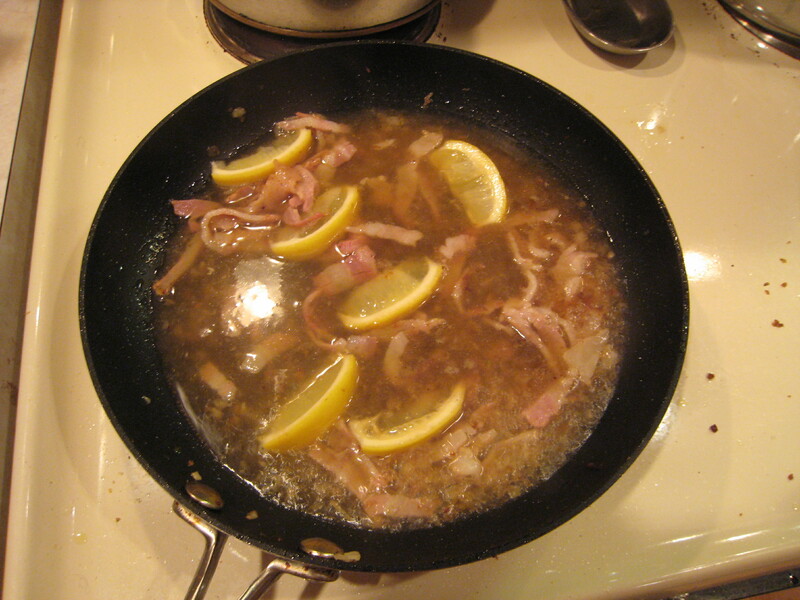 The ingredients for the sauce are: 1 lemon, 1 TBSP oil, 1 minced shallot, 2 TBSP capers, 1 Cup chicken broth, 4 TBSP butter and optional ingredient 2 slices of pancetta sliced into thin strips. 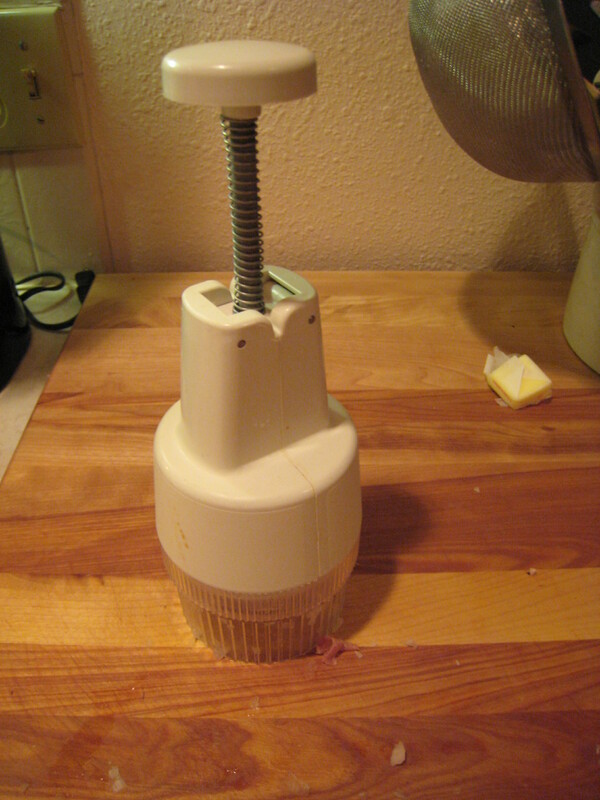 Now in the pictures you can see my chopper/mincer. 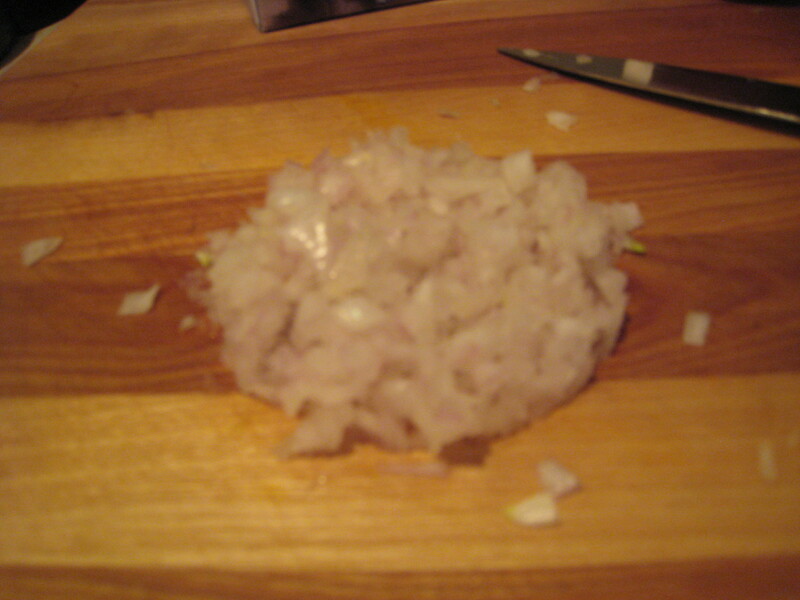 I only use this for nuts,onions or in this case, shallots, when I need them uniform and finely chopped. This is a light sauce so no one wants a chunky onion to bite into. 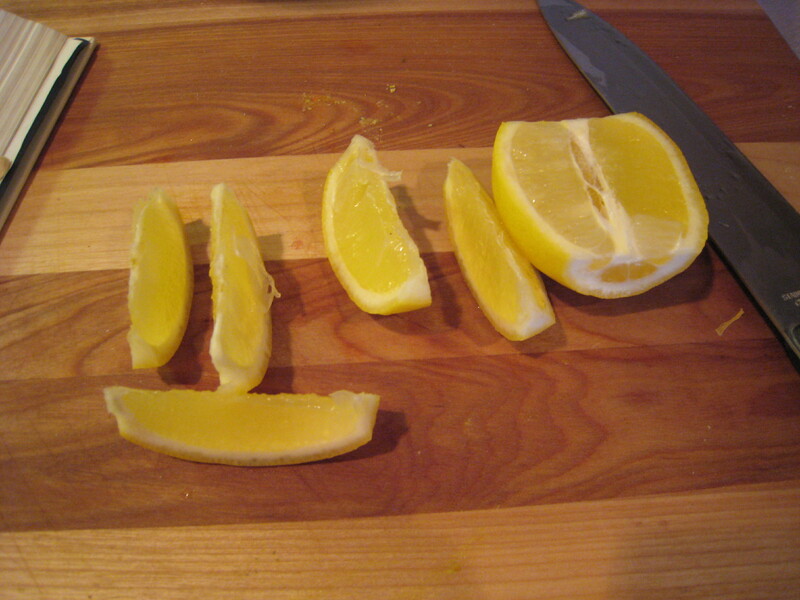 The recipe advises to cut the lemon pole to pole (that was a first for me to see it described that way), into 6-8 slices which I did in the picture above. The lemon slices go into the sauce and the other half of the lemon is juiced to add later. 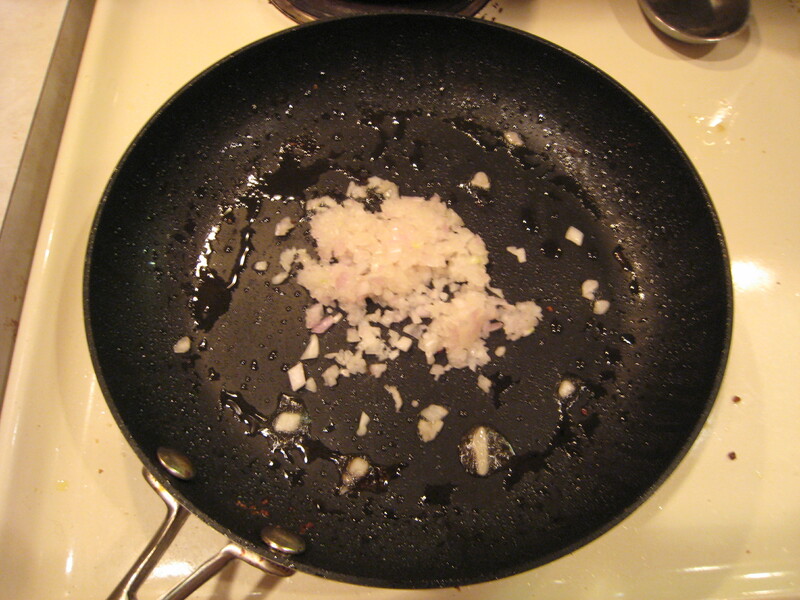 Mince the shallots and add to hot skillet with 1 TBSP oil then add the pancetta. Next time I make this recipe I’m going to cook the pancetta first and get it a little crispier and then add the shallots. The shallots become translucent very quickly. 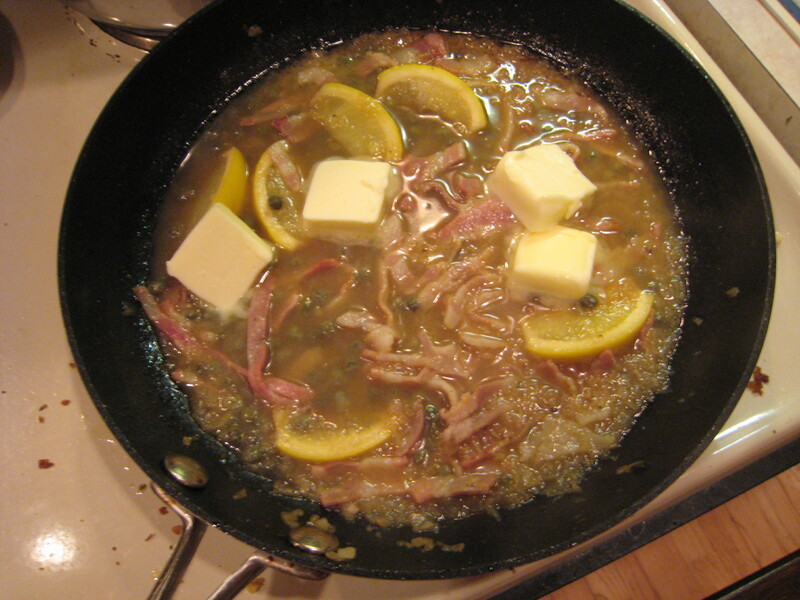 Add the lemon slices and chicken broth and bring to a simmer for 4 minutes to reduce the liquid. 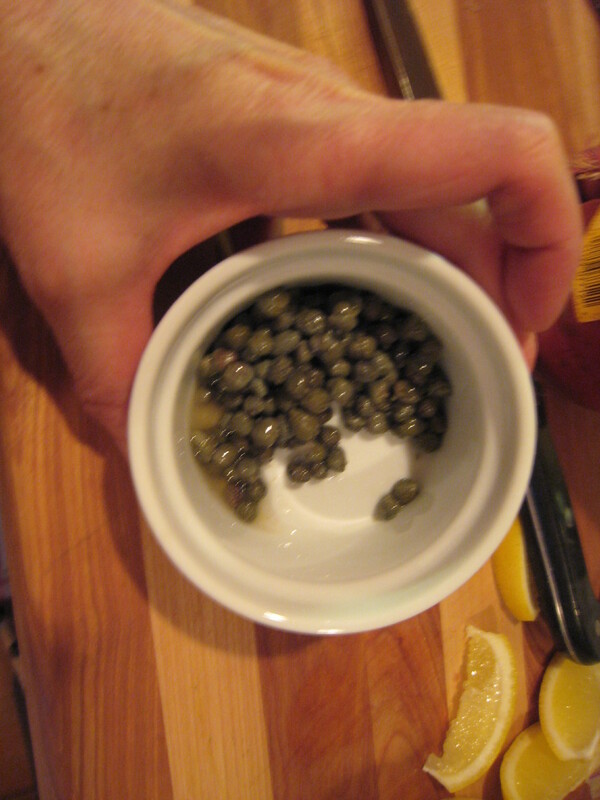 Then add the remainder of the lemon juice and the capers, again simmering until the liquid becomes reduced, about 2 more minutes. Remove the pan from the burner and add the 4 TBSP of butter and swirl to melt. Place the chicken cutlet on serving plate and spoon the sauce atop as below. I might just bring this to an Easter Brunch this Sunday. I will probably serve it on a bed a spaghetti with asparagus on the side. The spaghetti could be tossed with olive oil and parmesan cheese or maybe a basil pesto before placing the chicken atop. Happy Spring and Happy Easter! 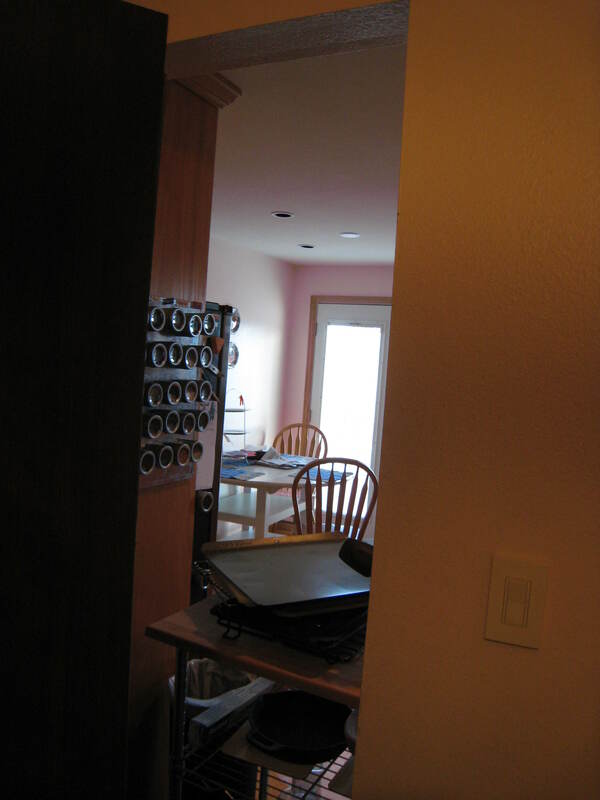 The Fearless Cook’s kitchen is getting a facelift. Where once was a doorway is now going to be a wall to add more kitchen space. So in the spirit of preserving my sanity I will write about the act of reading recipes, according to me. I’ll be the first to admit that I think I have adult attention deficit disorder. It has taken most of my life to figure out how I figure things out. To learn something new takes every bit of patience and focus I have to “get it.” For me, practice and practice and practice, does make perfect. Once I have mastered a task, I find shortcuts to get to the end product quickly. For the average cook, the basics of cooking start with reading a recipe. True chefs or chemists understand how ingredients and flavors coalesce. They can taste their way through cooking. The first recipe I ever followed was Snickerdoodles. It is basically a soft sugar cookie that uses cream of tartar instead of baking soda and is rolled in cinnamon-sugar instead of granulated sugar. I mastered the recipe mostly through observation. I saw all the ingredients going in, how to roll the dough into balls, pop then into the cinnamon-sugar blend, drop the dough onto the cookie sheet and into the oven. Easy, right? I made a lot of cookies because it was so easy. But I couldn’t eat cookies for the rest of my life, I had to cook something else, like dinner? I then discovered soups and chili. Another easy cooking format. Throw all the ingredients into a crock pot and turn it on for 8 hours and voila! dinner for eight. Reading a recipe is like reading a short story. A writer gets better at her craft by reading, so, a cook should better her skills by reading a recipe, right? When I read one recipe at a time I get a glimpse at a culture and the melding of the ingredients like characters in a story. And just like when I read, if I don’t understand a part in the story, I read it over and over again. I’ve found that I “get it” when I put my reading of the recipe into the actual act of cooking. Hands on and making mistakes as I go along. 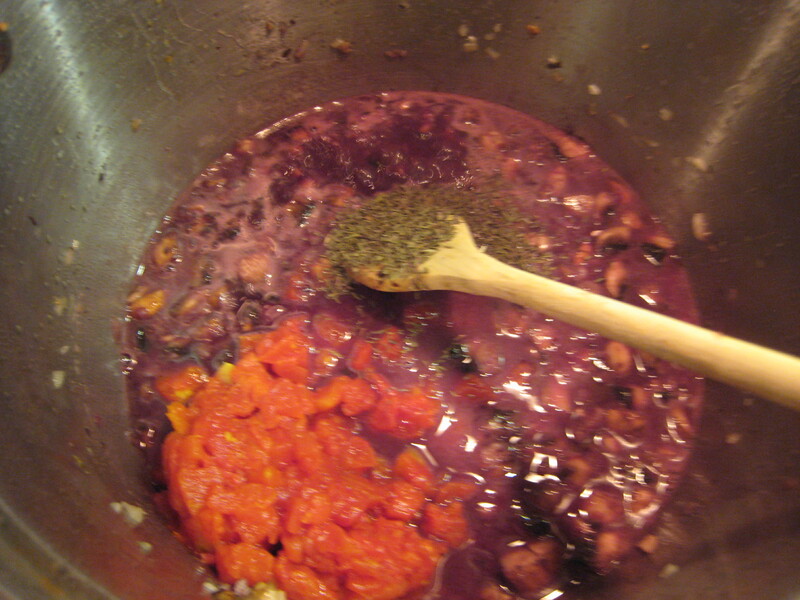 A difficult recipe usually has many ingredients and steps to complete to get to the finished product. This takes a lot of focus on my part. I try to read the recipe from beginning to end. Even though I think I have a good idea of how to make it, I end up going back and forth from the cookbook to the stove, from the cookbook to the chopping board and so on. There isn’t much finesse and flow in my approach. Last year I made Julia Child’s Boeuf Bourguignon from Mastering the Art of French Cooking. It took an entire day for me to make the recipe the way Julia advised to make it. I patted dry each piece of beef before I braised it and I didn’t crowd the mushrooms! One friend told me that she and her husband would read recipes to each other and discuss them. So, last week on Valentine’s Day, I had my husband read the recipe aloud to me. It actually was more fun to cook that way and we shared in the preparation. It was true team work and saved a lot of time. I read a lot of recipes. I am drawn to them whether they appear in magazines, TV, newspapers, websites, or cookbooks. I scan the title, the picture, the ingredients, and preparation. If the ingredients are readily available in my kitchen, the flavors are appetizing, and the cooking methods are familiar to me, I will most likely make the dish. I have a short attention span. If I want to cook something for a everyday meal, I want it to be easy to follow and take less than an hour. But, I am The Fearless Cook, so I will continue to read recipes and investigate different ingredients, one at a time, in the never-ending quest to be an accomplished cook. Even if it takes a lifetime. 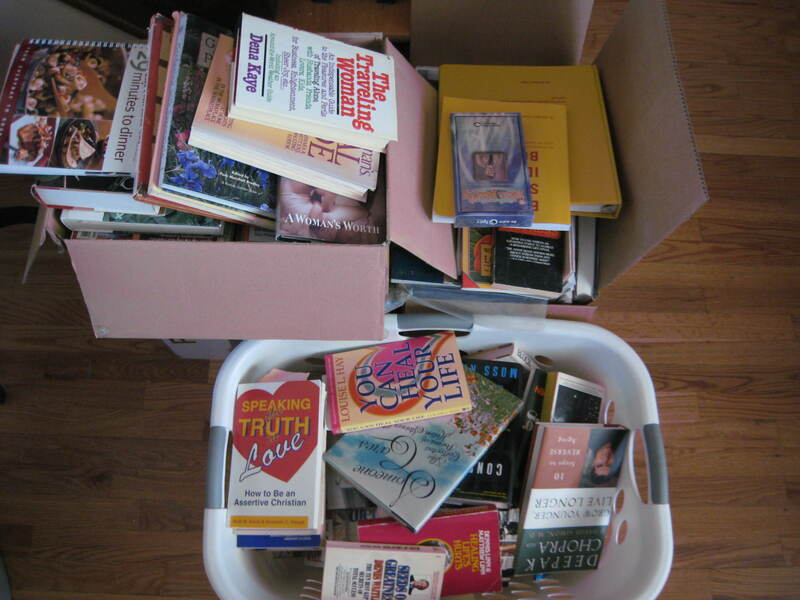 Look at all the cookbooks I need to read!